Whatever you do for a living becomes a lens through which you see. Like any lens, it renders itself invisible. Marketing becomes a metaphor through which you understand the world, but it relies on also understanding the frame, the context. That’s one of the reasons Genius Steals enjoys being peripatetic: Each new place highlights the frame that had become invisible. Sometimes, it's the absence of something that makes you notice it. We were in between gigs on the other side of the world. A client workshop in Istanbul led to our honeymoon in Sri Lanka, and we had a couple weeks before our next project in Dubai. 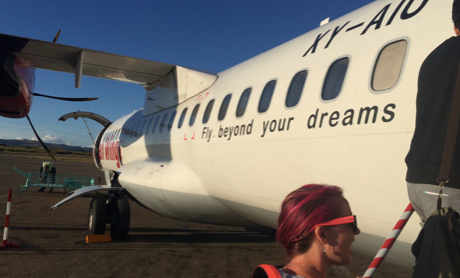 So we went to Myanmar, where up until very recently there had been a complete absence of advertising. Like too many places in the world, Myanmar (also known as Burma) spent about a century as part of the British Empire, only to regain independence after World War II. It had a brief flirtation with democracy and then succumbed to a military junta and closed its borders to the outside world. An aspect of this isolationism was a complete absence of advertising — the only visible brand back then was Fuji, which built the country's elevators and other infrastructure. There were very few cars allowed in, and those were subject to huge taxes that put them beyond the reach of the vast majority. Then in 2011, the junta essentially moved itself out of power and opened the borders — and in rushed capitalism. It’s rapidly transitioning to an economy of 55 million people — or customers — and it’s fascinating to see our branded culture spread across it, seeking growth, a process that has absorbed most of the world, and will probably now spread to Cuba. Read: Is Cuba ready for an ad industry? Yangon, wonderfully, is made up of two local words, meaning "enemies" and "rush out of". It’s fair to say they don’t have much muscle memory since the industry is about three years old here. ATMs only arrived in January 2013. Credit cards, about the same time. The Internet falls over all the time — and when it does, so do the ATMs. Locals have lived their whole lives in a cash -only society and so have no interest in, time for or understanding of banks. 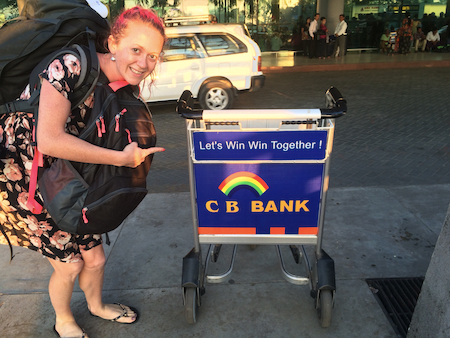 We spoke to a marketer for a global brand who was positioned here. She told us that, because global, they insisted on paying local staff by check, because systems. So they are trying to win trust and explain that banks are good for everyone. You can see that Coke is using a refreshment proposition rather than the higher-order value prop of "Open Happiness." The Myanmar people often wear a yellow pulp made from tree bark as a natural sun screen — it has now taken on cosmetic qualities also. You can see how ads and products are adapted for the local market, both through imagery and cultural fit. 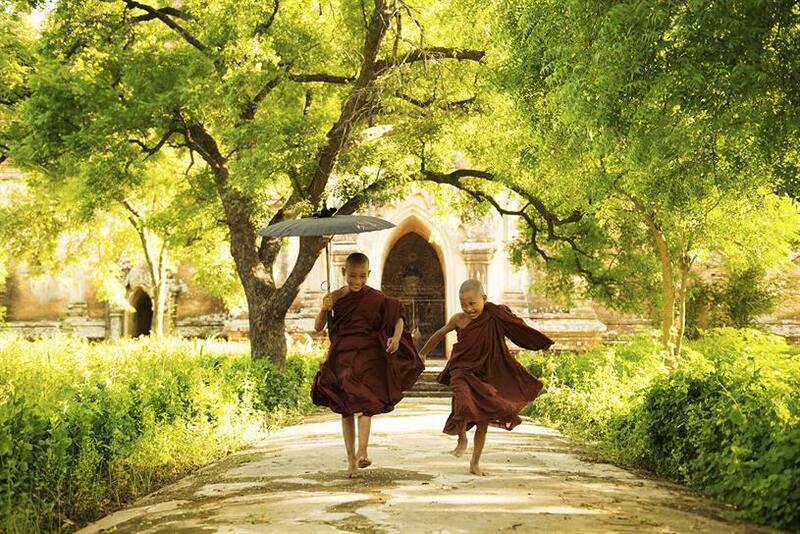 As in many parts of Asia, many residents of Myanmar would rather have lighter skin, so women often use parasols. It’s also why some CPG giants sell skin-lightening creams. I find this unpleasant, but I guess it’s not any different from self-tanner. If people were just happy with the way they were, it would be hard to sell them beauty product. 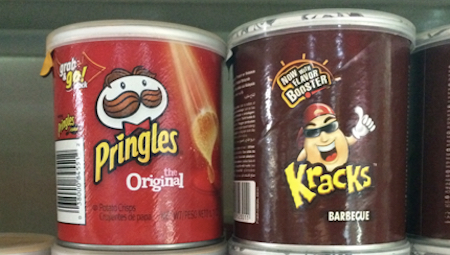 They’ve really leaned into the "once you pop you can’t stop" proposition with KRACKS. Or possibly the crunch. Because Myanmar is so big, and because the roads were not built for the amount of cars now here, there's a surprisingly large number of local airlines, which, when looked at together, show varying stages of propositional evolution, from hygiene claims, through quality, appeals to providence, service, more than plus up, all the way to more aspirational, abstract promises. 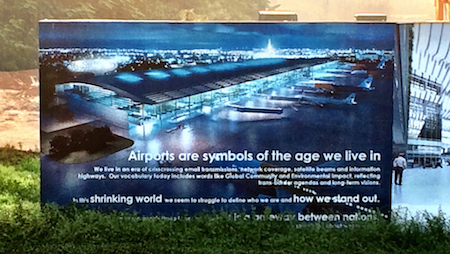 Finally, the airport advertising reminds you that it’s s symbol of modernity. Advertising is also a symbol of the age we live in; it speaks to a shrinking world and is all about how we can stand out. Seems as though Myanmar is absorbing the world fast. Is Cuba ready for an ad industry? Will Chinese crackdown on advertising puns stifle creativity?